Early American wet-plate photography is firmly ingrained in our nation’s mythos for a reason: compared to the existing methods from Europe, it was cheap and easy. In a nation full of entrepreneurs who weren’t beholden to guilds or art societies and who had customers instead of patrons, many family businesses were founded on tintype and ambrotype technology. The demand for photographic keepsakes exploded and hasn’t slowed down since. Today, images are more like currency than ever: minted constantly and fluctuating in value. Family businesses built on the tintype format are popping up across the country, and while they’re not churning out images by the thousands, they’re crafting artifacts and keepsakes that can survive for centuries just like the pioneers of their field 150 years ago. Adrian Whipp, of Lumiere in Austin, Texas, trained in analog photography styles during college and decided to return to his creative side after a few years in the corporate world. Whipp’s wife, Loren Doyen, works in the darkroom. They do a lot of portraiture in their studio, but also work on assignment for brands like Helm Boots and Revival Motorcycles. 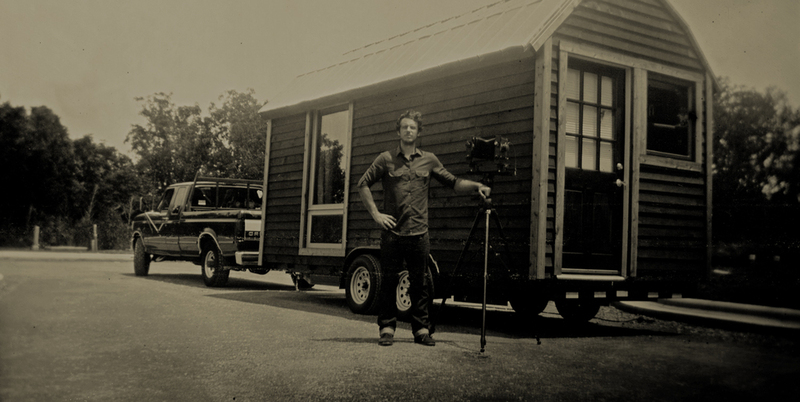 Josiah Morgan took a different path to tintypes. As a freelance director of photography, he traveled extensively working on digital and video projects. In his early thirties and with a baby on the way, he decided it was time to find a way to be home more often. He came across tintypes and had his own aha moment. Morgan opened his own portrait studio in the basement of his Atlanta, Georgia, home. He’s found that many people are looking for ways to make the images that are important to them more permanent than a printout. Whipp and Morgan both agree that their customers are intrigued by the aesthetic of a tintype, but that the aesthetic isn’t intrinsic to the format itself. The process is a craft that takes work in order to consistently produce clear, worthwhile plates. 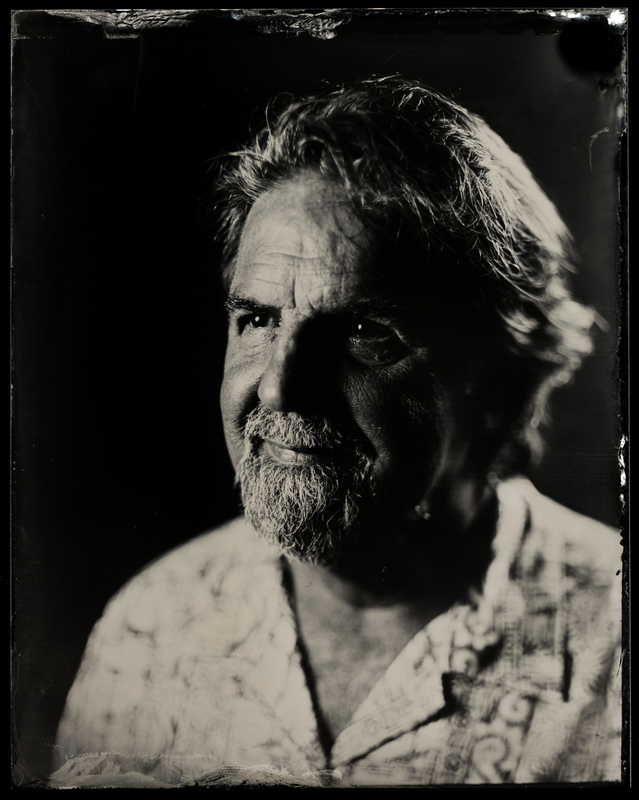 Recently, a photographer produced some tintype portraits of celebrities at the Sundance Film Festival, pleasing many consumers of cool internet content but drawing the ire of many working wet-plate photographers. The photos exhibit a preponderance of what Morgan calls “unnecessary character" often seen in beginner's work. Unless something catastrophic happens, the analog world has to kowtow to the digital one for exposure or long-distance sharing. 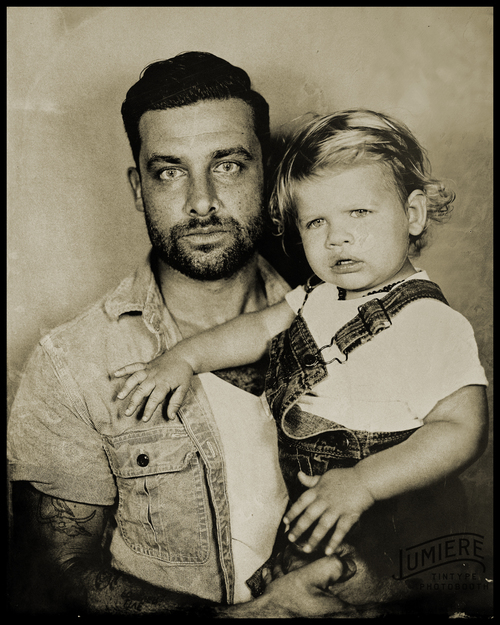 Lumiere provides digital copies of their tintypes so that their customers can share them. Morgan has built a large component of his business transferring digital images onto tintype plates with a method of his own devising. I asked both proprietors to respond to the idea that wet-plate was a tactile, real world version of an Instagram filter. It seemed appropriate since Instagram even wrote instructions on how to make your own in-app faux tintype. Whipp is interested in why we're so attracted to filters in the first place. He said, "I think they satisfy a nostalgic desire for the photography that we all grew up with - creased and faded photographs of family members, metal tintypes, or the alchemy of a Polaroid appearing before your eyes. I think it's great that these filters exist - they serve to help us all readjust to a photography that no longer principally exists in the physical realm. I love Instagram; it is such an awesome stream of photographic creativity - however its not the filters that make it so important, its the billions of people out there who are actually creating content." Morgan doesn't seem concerned with defending an analog image as more valuable than a digital one in terms of authenticity. "An Instagram photo is a totally authentic Instagram photo. It is its own thing. It is definitely not a wet-plate image, because that involves chemicals. 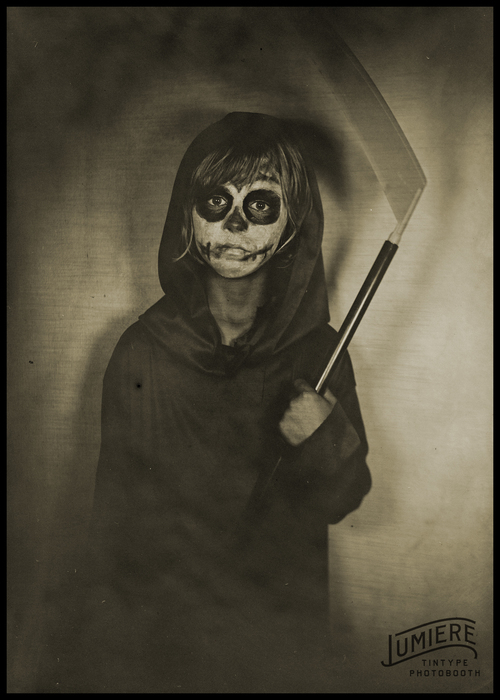 What about hybrid processes, like our tintype prints? Many people would argue that our tintype prints are not true tintypes because the image on the plate didn’t come directly from a real life scene. In a way, they are right," Morgan said. So often what we see in a photograph reflects what we see in ourselves, and our thoughts towards the subject. Photography has become as malleable a language as English, prone to borrowed concepts, short-lived lingo, and culturally affected dialects. Between old and new technology, what endures is the drive to make an image that resonates. Lumiere's website. // Josiah Morgan's website. 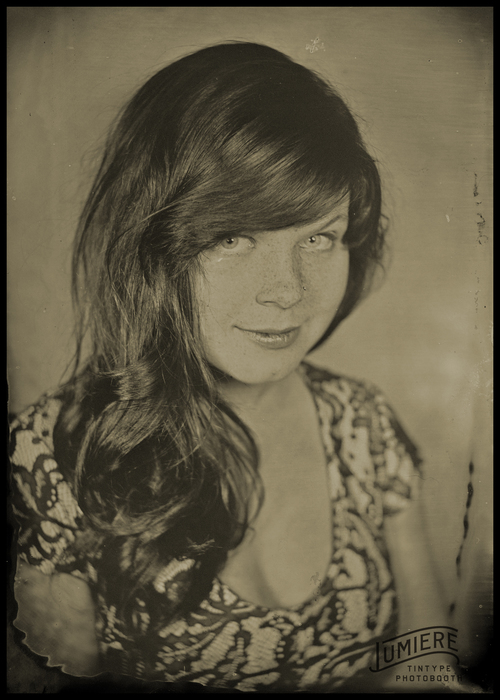 Read about creative artists working in wet-plate photography. Follow Ryan Sparks on twitter.